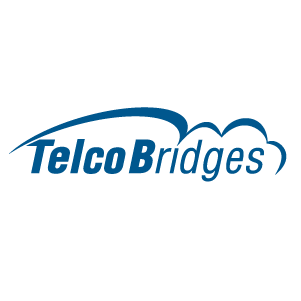 TelcoBridges is a leader in the design and manufacture of carrier grade, high performance, and high-density SBCs and VoIP gateways. Based in Montreal with offices in Poland, Turkey and Hong Kong, TelcoBridges has deployed VoIP solutions in more than 100 countries worldwide. TelcoBridges' brands include: FreeSBC™, Tmedia™ (VoIP media gateways), Tsig™ (signaling gateways), Tdev™ (development platforms) and Tmonitor™ (real-time network monitoring equipment). For more information, visit freesbc.com or www.telcobridges.com.